A bill has been approved by Government which will enable ratification of the UN Convention on the Rights of Persons with Disabilities. NINE YEARS AFTER Ireland signed a UN convention that would strengthen the rights of people with disabilities, it has finally taken major steps towards ratifying it. The Convention on the Rights of Persons with Disabilities (UN CRPD) was signed in 2007. However, up until now Ireland has been one of the few EU member states not to have ratified the convention – that is, make the convention officially valid. It has now been announced by the Tánaiste Frances Fitzgerald and Minister of State for Disability Finian McGrath that the Government has approved the Disability (Miscellaneous Provisions) Bill 2016, which will enable ratification by Ireland of the UN CRPD. The primary purpose of the Bill is to address the remaining legislative barriers to Ireland’s ratification of the UN Convention on the Rights of Person with Disabilities (UN CRPD). Minister McGrath said that “considerable progress” has already been made to overcoming the barriers to Ireland’s ratification of the Convention. Speaking to TheJournal.ie, he said that he was “very disappointed” that he didn’t reach his stated target of ratifying the convention by the end of 2016. “I genuinely didn’t realise how complicated it was going to be,” he said, explaining that legislation and legislative amendments are and will be needed before it can be ratified. McGrath said that he accepted that successive governments have “ignored this issue” of the ratification of the UN CRPD. “That’s why I got it stitched into the Programme for Government,” said the TD, who is a disability rights campaigner and has a daughter with an intellectual disability. “I regret the fact that I told people I would have it done by the end of 2016,” he said. We’ve done a lot of work over the last two to three weeks. He said he hoped to move forward with it in the new year, but is “not going to say a particular date in 2017 because I don’t want to mislead people”. He said he has met nearly 4,000 people since he took up the junior ministry role and that this year over €1.6bn has been put into disability service. “There’s been a lot of examples of bad practice in the disability sector over the last 12 months,” said McGrath, who said he has set up procedures to deal with safeguarding vulnerable people, as well as a taskforce to oversee their implementation. “We have moved forward a lot,” he said. McGrath said that there has been good news for people with disabilities in 2016, with extra funding and supports becoming available under the HSE service plan. The government explained that UN CRPD provides that ‘reasonable accommodation’ (such as practical help with accessing a service) be provided for people with disabilities in the areas of employment and provision of services. 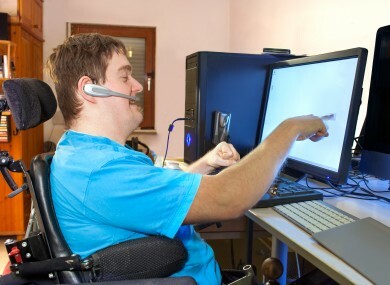 The Bill will strengthen the rights of people with disabilities in that regards in relation to public services and services provided by commercial bodies whose activities are regulated for quality service, viz. banks, insurance companies, telecommunications and transport providers, and credit unions. A government roadmap for ratification was published in October 2016, which set out a number of other issues. Yesterday, it was announced that these will be progressed as committee stage amendments. The most important of these is the need for legislative clarity, in relation to residential care facilities, on who has statutory responsibility for a decision that a patient should not leave for health and safety reasons, and what appeals process should be in place. The absence of a statutory provision in relation to deprivation of liberty issues in such cases means that Ireland cannot comply with the UN CRPD standard that any deprivation of liberty is in conformity with the law. The Department of Health is working on proposals to address this issue. The Bill will be published in the coming days and it is hope ratification will be swift. Among the provisions of the new Bill is an amendment of the Juries Act 1976 so that a person who is deaf won’t be ineligible for jury service because of the reason that they require the services of a sign language interpreter. In addition, the existing prohibition on a person who has a mental illness or disability, and is receiving medical treatment or is resident in a hospital or similar institution, from serving as a juror will change. This is to be replaced with a functional capacity test “which will provide that a person must have the mental and intellectual capacity to serve as a juror”. Also, there will be an amendment of the Electoral Act 1992 to repeal the prohibition on a person of ‘unsound mind’ from standing for election to the Dáil. This also means the removal of the disqualifications for membership of the Seanad and for election to the European Parliament. The National Disability Authority (NDA) and the Irish Human Rights and Equality Commission will have formal roles as part of Ireland’s national monitoring mechanism for the Convention. Email “After nine-year wait, Ireland to strengthen rights of people with a disability ”. Feedback on “After nine-year wait, Ireland to strengthen rights of people with a disability ”.